Samsung has already made it clear that Bixby is going to be integral to its plans to take over the consumer’s home through the Internet of Things (IoT) ecosystem, with the company’s virtual assistant set to control everything from washing machines through air conditioners to the TV in our living room. Bixby 2.0 will be introduced with the Galaxy Note 9 later this year with improved response times, and according to Yonhap News, Samsung has also revealed its plans to put Bixby on a wider variety of home appliances, including microwave ovens and robot vacuum cleaners. With an IoT ecosystem, Samsung is hoping consumers can use Bixby to operate all of their appliances at home, including those not made by Samsung thanks to the SmartThings Cloud platform. And with local device control already the major draw with Bixby Voice on the company’s smartphones, Samsung is well poised to make its voice assistant ubiquitous across its various product categories. Of course, it’s interesting that Samsung hasn’t yet said anything about bringing Bixby Voice to its mid-range and budget smartphones, and it’s not clear if Bixby and SmartThings support will come to appliances across all price ranges. It’s certainly important to go as low on the price ladder as possible, so that the company’s assistant can go head to head with devices like Google Home and Amazon Echo. The upcoming Bixby smart speaker will be a good starting point for competing with the aforementioned devices, and Samsung says it is also ready to join forces with other companies working on artificial intelligence to advance Bixby’s capabilities. 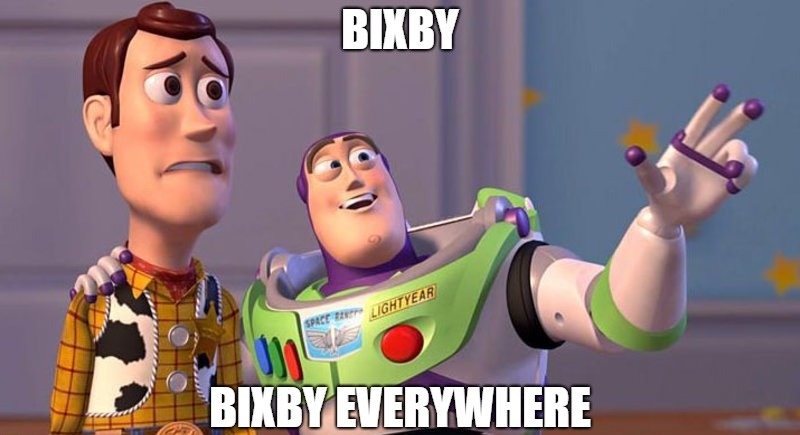 Whether the 2020 target to making all of its products IoT ready is something the company can achieve remains to be seen, and for now, all we can do is look forward to Bixby 2.0 and see if Samsung can offer meaningful additions to give those of us who disable Bixby a reason to give it another chance. But not to some Galaxy S8.